Planning your dream hen night? Look no further than Signature Living party apartments for the ultimate celebration. With almost a decade of experience in group accommodation, we’re the experts when it comes to throwing the perfect hen weekend. 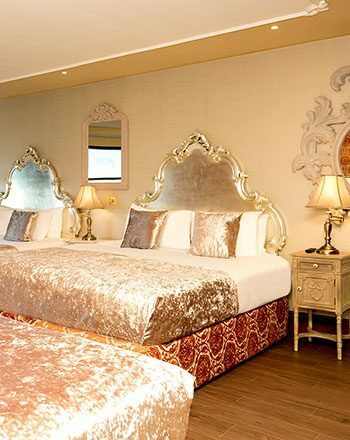 Our unique party apartments and spectacular party rooms offer something special for everyone. Whether you’re planning a girls’ night in of pampering and prosecco or a stylish night out, we’ve got it covered. 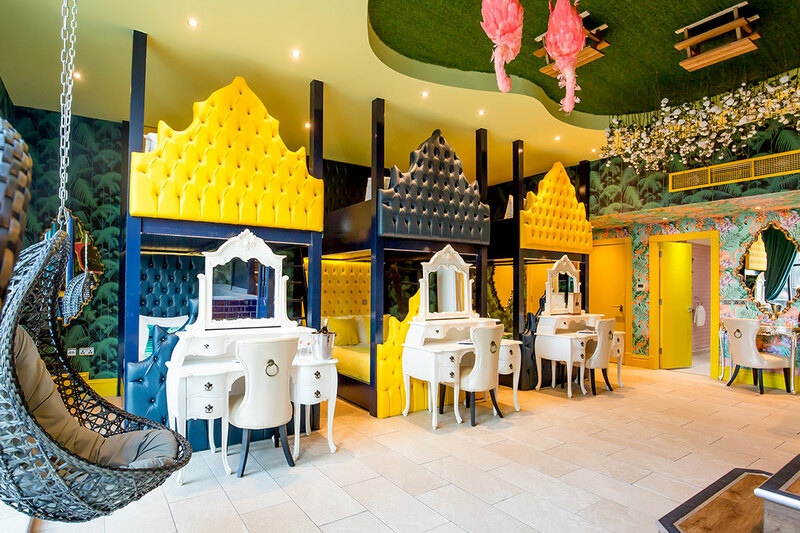 If you’re stuck for hen party ideas in Liverpool, look no further! Many of our party rooms follow a unique theme, offering plenty of inspiration. From perfect pinks or cool and chic to colourful and creative, the choice is entirely yours. At Signature Living, we have a wide variety of party apartments for you to choose from. Sleeping small to large groups, you’ll find everything you could need for the perfect hen do in Liverpool. Our spacious apartments are equipped with luxury facilities and fantastic extras. Apartments feature everything from double whirlpool baths and multiple bedrooms to kitchenettes, cinema screens and music systems. One of our most popular party apartments for hens is The Vault. A hidden gem in the heart of Liverpool nightlife, head down into the basement of Liverpool’s former Masonic Bank. 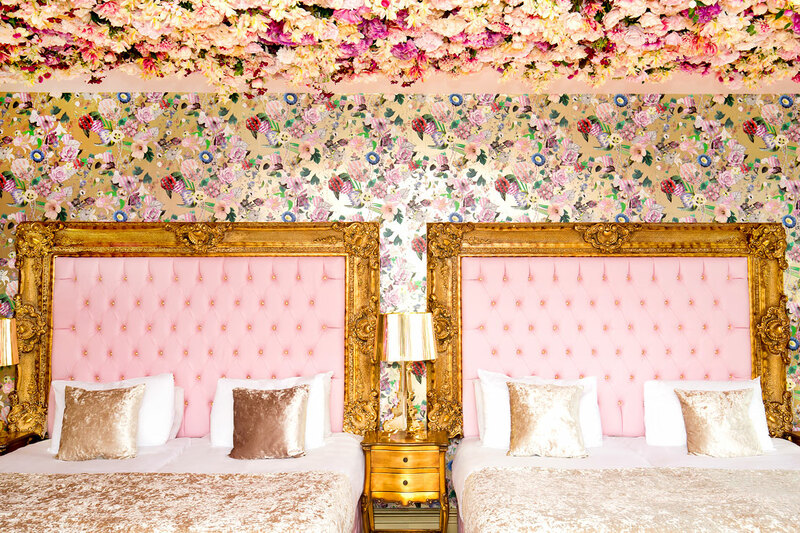 It’s here that you’ll step into the hen party in Liverpool that you’ve been dreaming of. Designed to host the most dazzling parties and sleep 30 guests, The Vault regularly plays host to amazing hen parties and special occasions. Features include a private bar space, dining area, 10 berth Roman bath, dancefloor and photo booth. Our new Signature party rooms and suites offer an eccentric twist on group accommodation. 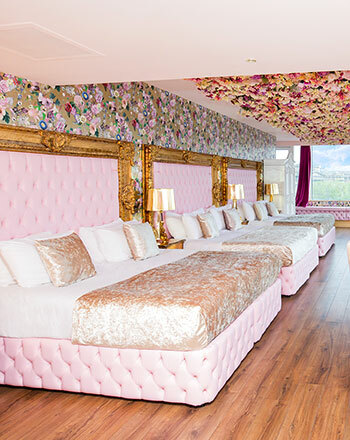 Each of these fabulous spaces is perfect for hosting your Liverpool hen do. Our themed floors vary from the ethereal Garden of Eden and glamorous Prohibition to wonderous Wonderland. A fusion of daring décor and indulgent facilities makes each of our party rooms in Liverpool a leading Liverpool hen do location. 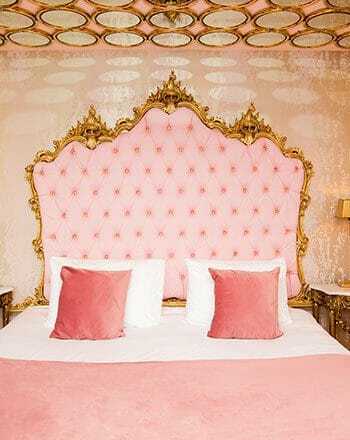 The LMAO suite invites you to enjoy a mix of ethereal florals and signature gold detailing. Featuring an enchanting hidden bathroom, this spectacular room sleeps up to 6 guests. 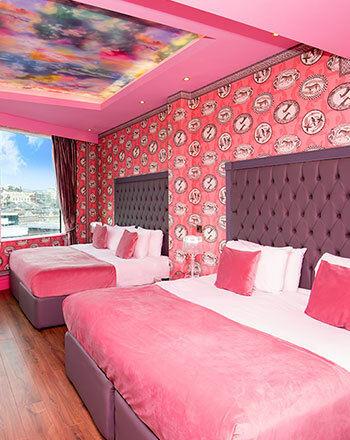 One of our most popular of our new rooms is the Flamingo Room. 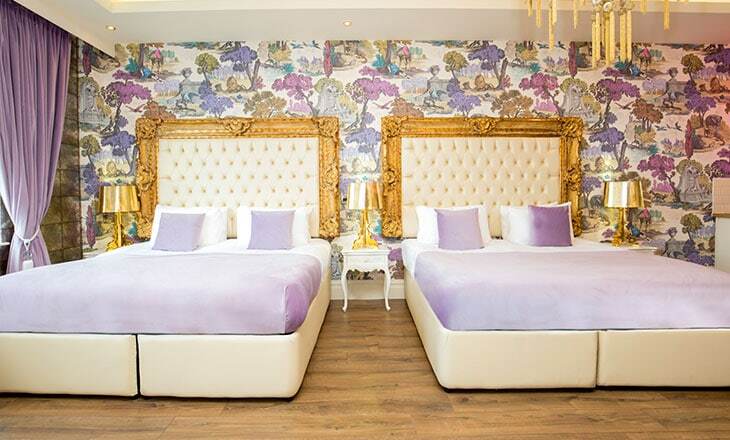 Sleeping 12 guests, step into a tropical paradise as you enjoy a taste of Miami in the heart of Liverpool city centre. This bright and bold venue is sure to ignite your party spirit from the moment you arrive. Find yourself surrounded by a blend of palm tree prints and flamingo pink, creating the ultimate summer vibe. 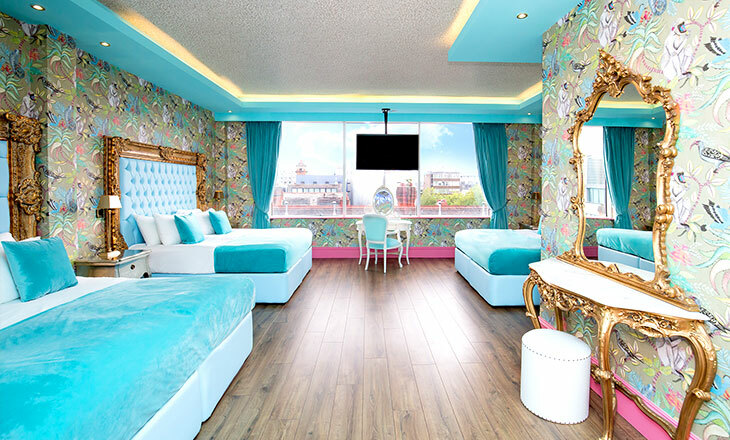 In the Flamingo Room, you’ll discover everything from double bunk beds and swinging chairs to a giant bath seating 10 guests and the perfect way to spend a hen weekend in Liverpool. If you fancy giving your hen night in Liverpool a splash of the extraordinary, why not make it a hen night pool party? Morgan’s Vault, our Skyline Suites and the Laurent Perrier Pool Room are ideal for playing host to large pool parties with your favourite ladies. Relax with a glass of bubbly as you take a dip and soak up the atmosphere of our fabulous spaces. 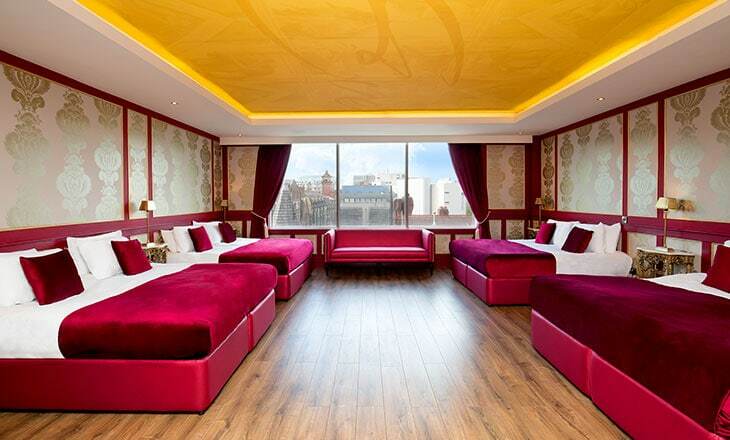 With plenty of space to party and stay overnight, your Liverpool hen do will be one to remember. 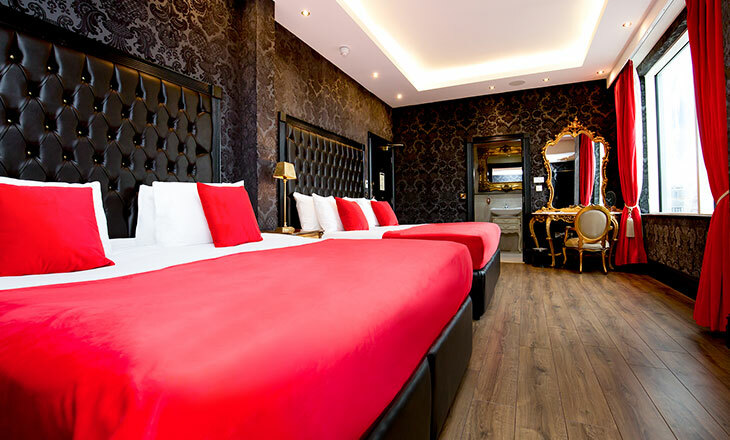 A stay with Signature Living means a stay in the centre of Liverpool. Whichever apartment or suite takes your fancy, you’ll be in a prime location for Liverpool nightlife. Whether you’re near Seel Street, Mathew Street or Victoria Street, you’ll find yourself spoilt for choice. In the evening, take some time to catch up and relax with a delicious cocktail in one of the liveliest cocktail bars in Liverpool. Iconic bar and restaurant Alma de Cuba is ideal for hen party celebrations in Liverpool. You can even book your very own booth as you wine and dine in style. The iconic venue offers a colourful Cuban twist, famous for its shimmying samba dancers and atmospheric petal shower. What better way to celebrate your big night? At Signature Living, we always have unmissable offers to make your visit more convenient. So, make sure you check out our latest hen party packages for the best possible deal!